It is possible for homeowners to not even be aware that fungus is growing in their home, which is why it is so crucial for mold removal Oswego pros at 911 Restoration of Central New York to inspect your home as soon as possible. 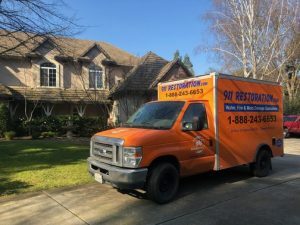 Our mold removal Oswego crew knows exactly where to look when they arrive on the scene, because we understand that mold can be growing in your air vents, attic, crawlspace, under the floorboards, behind walls, behind wallpaper, under sinks and inside carpet. It is important to get this mitigation process started right away, so we stay available 24/7/365 to make it as easy as possible for you to schedule an appointment for a free visual mold inspection. Call us right away and let us show you just how dedicated we are to getting your home thoroughly clean and free of all mold particles today. If your home has recently been affected by invading water via a pipe burst, ceiling leak or ruptured washing machine hose, the mold removal Oswego techs will make sure that those issues do not cause mold to begin growing. Fungal growth can happen easier than you may think, since a warm, moist climate can cause mold to grow completely unrestrained, leading to a full fledged infestation. Most of the time mold can be living on the property without you ever even seeing it, because it likes dark, damp places, such as behind walls, under floors or above ceilings. We are IICRC certified to conduct expansive mold removal jobs, so when you contact our mold removal Oswego unit you can rest assured that the most efficient people are on the job. Call our mold removal Oswego experts the moment you suspect that mold might be in your household, and we will go the extra time to turn your home back into a healthy living space. Since mold usually develops as a side effect of a water-related issue, we always make sure to stay equipped with the most advanced water removal technology when we are on a mold job. Our mold removal Oswego professionals will get to your home within 45 minute to begin water damage restoration procedures, which is critical to preventing mold growth. If we do discover that mold has began the infestation process, then we will do whatever it takes to get your home clean and safe again, such as replacing the dry wall and setting up vapor barriers to contain the mold spores. We also use professional grade equipment that include dehumidifiers, wet vacuums, air filters, and purifiers, so you can count on the Oswego mold removal team to get your home in pristine condition. 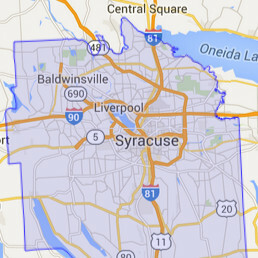 Call mold removal Oswego staff at 911 Restoration of Central New York today and we will make sure you get the most affordable, efficient mold remediation care in the industry.